LIMA — This past week, farmers could file paperwork to claim a portion of the first round of federal funds meant to plug the hole in the markets caused by retaliatory tariffs, but heavy uncertainty surrounding the agriculture industry remains as the harvest season begins to rev up in earnest. As of Sept. 4, farmers can now apply to the U.S. Department of Agriculture’s market facilitation program, which sets the initial payment rates for agricultural commodities. In total, the first payouts will use $4.7 billion to curb damage caused by falling commodity prices. Soybeans have taken the brunt of the hit as the export market shrank since the U.S. trade war with China began in April. For that reason, soybeans have also received the highest percentage of trade mitigation funds, set at $3.6 billion, or $1.65 a bushel for half of the total soybean crop. Hardin County Ag and Natural Resources Educator Mark Badertscher said the combination of the federal payouts and good yield year should help soybean farms. “The bean price is a couple dollars lower than it was last year. So even though we can balance that out with higher yields, we’re still dealing with the impacts of the markets. Hopefully, it will help us work it out,” Badertscher said. But while soybeans may see a bump, the corn crop may have a harder time. 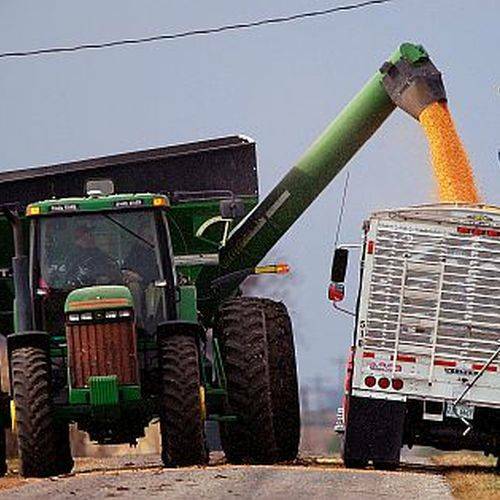 Trade mitigation funds have set aside $96 million, or a penny per bushel, for the corn crop — a price that’s little more than a pat on the head, said John Torres, director of government and industry affairs with the Ohio Corn and Wheat Growers Association. The USDA released its methodology for the $0.01 per bushel corn price just this Friday, which set the estimated trade damage at $192 million. Torres said that formula fails to consider both ethanol and feed exports that make up the corn industry. “Corn is going to be a crop that looks like it’s going to be hard to make money this year,” Badertscher said. While Van Wert County farmer Nick Williams said he plans to sign up for a portion of the trade mitigation funds, he’s not relying on the payout to survive. Williams said he supports President Donald Trump’s initiatives in trying to “level the playing field,” even if it means farmers having to take some economic damage to make it happen, and that prior to 2014, market prices had created some strong returns for local farmers. Torres said 2018, however, may just be the tip of the iceberg of a lot of long-term damage if the federal trade war with China continues. As long as the tariffs remain in place, Chinese buyers will look to outside markets, break off current trade relationships with American markets and look to other countries to make up any shortfalls.